He graduated from high school in 1955 and soon enlisted in the rock 'n' roll revolution ignited by Mississippian Elvis Aron Presley. Already skilled on guitar, fiddle and mandolin, Daniels formed a rock 'n' roll band and hit the road. While enroute to California in 1959 the group paused in Texas to record "Jaguar," an instrumental produced by the legendary Bob Johnston, which was picked up for national distribution by Epic. It was also the beginning of a long association with Johnston. The two wrote "It Hurts Me," which became the B side of a 1964 Presley hit. In 1969, at the urging of Johnston, Daniels moved to middle Tennessee to find work as a session guitarist in Nashville. Among his more notable sessions were the Bob Dylan albums of 1969-70 Nashville Skyline, New Morning, and Self Portrait. Daniels produced the Youngbloods' albums of 1969-70 Elephant Mountain and Ride the Wind, toured Europe with Leonard Cohen and performed on records with artists as different as Al Kooper and Marty Robbins. Daniels broke through as a record maker, himself, with 1973's Honey In the Rock and its hit hippie song, "Uneasy Rider." His rebel anthems "Long Haired Country Boy" and "The South's Gonna Do It" propelled his 1975 collection Fire On the Mountain to Double Platinum status. Following stints with Capitol and Kama Sutra, Epic Records signed him to its rock roster in New York in 1976. The contract, reportedly worth $3 million, was the largest ever given to a Nashville act up to that time. In the summer of 1979 Daniels rewarded the company's faith by delivering "The Devil Went Down to Georgia," which became a Platinum single, topped both country and pop charts, won a Grammy Award, became an international phenomenon, earned three Country Music Association trophies, became a cornerstone of the Urban Cowboy movie soundtrack and propelled Daniel's Million Mile Reflections album to Triple Platinum sales levels. 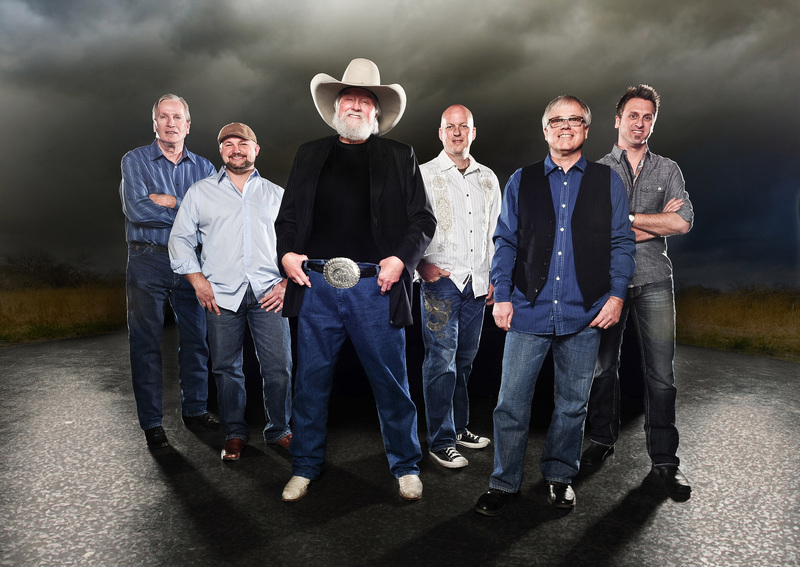 The album's title was a reference to a milestone in the Charlie Daniels Band's legendary coast to coast tours. Including two drummers, twin guitars, and a flamenco dancer, the CDB often toured more than 250 days a year and by this time had logged more than a million miles on the road. On the Million Mile Reflections Tour, transported by a convoy of busses and gleaming black tractor-trailer rigs - a show that stopped traffic all over the country - the bank now included a full horn section, back-up singers, a troupe of clog dancers and sometimes a gospel choir. 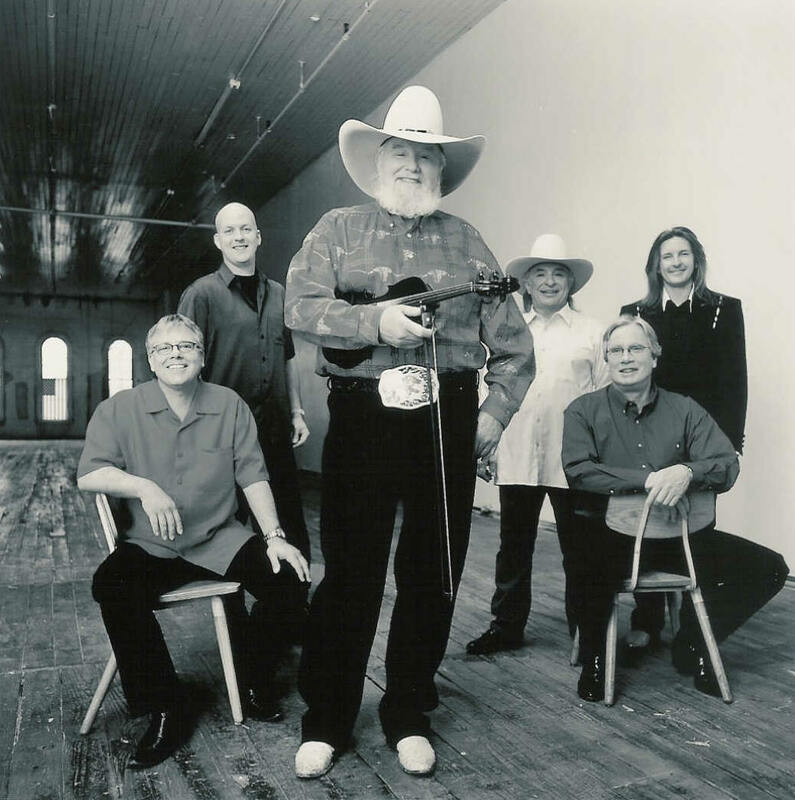 By 1981, the Charlie Daniels Band had twice been voted the Academy of Country Music's Touring Band of the Year. Full Moon, issued in 1980, became Daniel's third Platinum album. Simple Man (1989) is also Platinum while A Decade of Hits (1983) is Triple Platinum, and Windows (1982), Saddle Tramp (1976), and Midnight Wind (1977) are Gold. He earned a Dove Award from the Gospel Music Association in 1994 for The Door, and a 1997 CMA nomination for his remake of "Long Haired Country Boy" featuring John Berry and Hal Ketchum. Amazing Grace: A Country Salute to Gospel, a compilation album including Daniels' "Kneel at the Cross," garnered a 1995 Grammy Award. In 1996 he was honored with a boxed set of his classics. His By the Light of the Moon: Campfire Songs & Cowboy Tunes (1997), Christmas Time Down South (1990) and Blues Hat (1997) albums added further layers to his multi-faceted style. Daniels' annual Volunteer Jam concerts, world-famous musical extravaganzas that served as a prototype for many of today's annual day-long music marathons, always featured a variety of current stars and heritage artists and are considered by historians as his most impressive contribution to Southern music. Among the artists "Jam Daddy" has hosted at 16 of these mega musical samplers are Roy Acuff, Don Henley, Tanya Tucker, Amy Grant, Leon Russell, Billy Ray Cyrus, the Nitty Gritty Dirt Band, James Brown, Duane Eddy, Pat Boone, The Outlaws, Dwight Yoakam, Steppenwolf, Bill Monroe, Exile, The Judds, Orleans, Willie Nelson, Carl Perkins, Vince Gill, George Thorogood, Emmylou Harris, Alabama, the Allman Brothers, Link Wray, Ted Nugent, Bill Joel, the Marshall Tucker Band, Solomon Burke, Little Richard, B. B. King, Stevie Ray Vaughan, Eugene Fodor, Woody Herman, and Bobby Jones and the New Life Singers. "I used to say, 'I'm not an outlaw; I'm an outcast,'" says the Grammy Award winning star. "When it gets right down to the nitty gritty, I've just tried to be who I am. I've never followed trends or fads. I couldn't even if I tried. I can't be them; I can't be anybody but me." When you hear a classic Charlie Daniels Band performance like "The Devil Went Down to Georgia," you hear music that knows no clear genre. Is it a folk tale? A southern boogie? A country fiddle tune? An electric rock anthem? The answer is "yes" to all of that and more. And the same goes for "In America," "Uneasy Rider," "The South's Gonna Do It," "Long Haired Country Boy," "Still in Saigon," "The Legend of Wooley Swamp," and the rest of a catalog that spans more than 35 years of record making and represents more than 18 million in sales. His resume includes recording sessions with artists as diverse as Bob Dylan, Flatt & Scruggs, Pete Seeger, Mark O'Conner, Leonard Cohen, Ringo Starr and Johnny Cash. His songs have been documented by ABC Newsmagazine 20/20. In 1985, he published a collection of short stories, The Devil Went Down to Georgia, peopled with the same kind of characters and tall tales as his songs. "In his time he's played everything from rock to jazz, folk to western swing, and honky-tonk to award-winning gospel, former President Jimmy Carter said. "In Charlie's own words, 'Let there be harmony. Let there be fun and 12 notes of music to make us all one.'." "Charlie's love of music is only surpassed by his love of people, especially the American people," former President Gerald Ford said. "For almost five decades, he's traveled this land from coast to coast singing about the things that concern the American people. Tonight, the Academy of Country Music's Pioneer Award is presented to a supremely talented compassionate and proud American, and a fair to middlin' golfer, too!" With an unerring instinct for the universal ties that bind people together and an equal abhorrence for the intolerance and fear that do the opposite, Charlie Daniels has kept the specifics of his cultural heritage as the soul of the CDB music that has impacted the lives of everyday people everywhere. "It's purely American music with something for everyone," he said. "At least that's what I've hoped for in my 40-plus years in music."